Suffolk Naturalist: Zoos, their place in modern society. Zoos, their place in modern society. Hello dear followers and welcome to John, my newest follower. I hope this all finds you safe and well. I was just beginning to write this post, in fact I was some way through my musings when it suddenly came to light that the BBC, in their infinite wisdom, were planning to axe The Sky at Night TV program. Yes, you read that correctly, there is no typo. I don't think there isn't a person in the world who hasn't heard of the late Sir Patrick Moore (we miss you Sir Patrick). His once a month Sky at Night TV program enlightened millions of viewers for more than 50 years. The show has been the longest running TV program in the world. There are scientists working around the world today that were inspired by Sir Patrick and his show in their childhood and the BBC feel that less than a year after his death, it's time to axe the show. However, I'm still unsure as to whether this news is true or not. The only source I can find for it is from a dubious, unintentionally comical, newspaper (I use the term newspaper in the loosest possible sense) called The Daily Mail. Yet, they state that the BBC has failed to deny these rumours and looking around on social media at all the presenters of the said program, nothing is being said their either. Yet the fact that the BBC haven't come forward to deny it all seems a bit strange. Maybe the BBC leaked it deliberately to see what the public reaction to such a move would be, this way avoiding upsetting TV licence payers, who knows. In the meantime there is already a petition up and running to stop the BBC from doing such an abhorrent thing and there are people also posting a link (myself included) to the BBC complaints page to tell them what fools they are being if the above is true. I'll keep my ears to the ground and will keep you posted on such developments should they arise. You may have seen this on the news lately, MOOC's! But what is it I hear you ask? Quite simply it is a Massive Open Online Course open to anyone in the world and it means ANYONE. You don't have to have any credentials and here's the good bit, IT'S FREE! So why is it in the news? Mainly because the UK has now decided to get on board after several countries have been running them for years with great success. The Open University along with 17 other UK universities have courses on offer, yet there doesn't seem to be much in the way of natural history courses. But it's early days and this may soon change, you never know. Of course, there are courses on lots of different things, there are hundreds of them in fact and you can see them all here. The time to study is around 3-8 hrs per week over anything from 6-16 weeks and as it's free, you have no reason whatsoever not to give one a go. You never know, you might like it and you might learn something new too! Zoos, are they really needed? 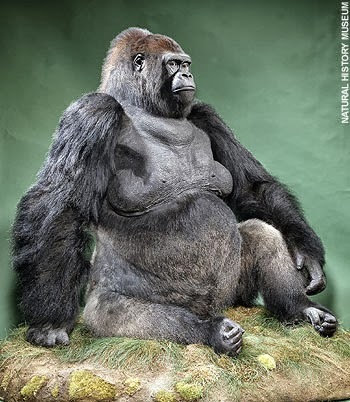 When I was a little boy, I remember my mother taking me too London Zoo to see Guy the gorilla. I remember looking up at the cage at what seemed a tall, towering (in my child eyes) huge gorilla which was standing up clapping. Everyone watching would start to clap along with him to which he seemed to enjoy, along with the audience. Then he walked over to his water bowl, took a large drink of water and in one spit sprayed everyone in front of him. Even then, in my young years (I couldn't have been no older than 6 or 7), I saw this as his protest against his captivity and it imprinted something on me at that point. As far as I can remember, I haven't been in a zoo since. As time has gone on, I've always considered zoos to be nothing more than the old circus freak shows where people go just to point and stare and try and get the animals to do funny things so they can send the video off to You've Been Framed for their £250. Zoos were something of the Victorian era where explorers of the Great British empire would show their weird and wonderful curiosities that they had encountered and collected on their travels. No thought was given to the animal's requirements such as habitat, sociality or such. It was thought that as long as it was fed and watered, it would be enough. There was no such thing animal behaviourists or ecologists to consider the animal's welfare. Social creatures like Guy, were put in small cages on their own and denied social contact with his own kind, not deliberately, but through ignorance. Even when I went to see him in the 70's, nothing much had changed. Animal studies were happening, but still, very little was known and Guy still sat in a small cage on his own being pointed at and mocked by those who crowded to see him. So sad. Guy died in 1978 from a heart attack after an operation and he still didn't get any peace in death as his body was stuffed and is now on display in a Sheffield museum I believe. So what of zoos nowadays, are they really needed? Worldwide travel is relatively cheap these days and the internet and HD TV bring the world to your front room so that you don't even have to leave the comfort of your house to go and see a Duck-billed Platypus or a Mountain Gorilla. Technology in the form of microscopic cameras allow us to see into every nook and cranny of our biodiverse planet. Surely we don't need zoos anymore, but they still exist. They exist under the guise of 'Animal Conservation'. They are there, so we are told, to help protect endangered species, they have breeding programs to help these species that are on the verge of extinction. Or are they? Recently in one of my blogs, I reported the fact that the Wildfowl & Wetlands Trust pinion their non-native birds. Pinioning is the practice where they cut away a piece of wing from a newly hatched bird, which stops the bird from flying, thus crippling it for life. In fairness to WWT, here's a link to their view of this. However, I feel that if they are running a re-introduction program, why are they not releasing the birds back to their native lands? The same as zoos, why are they keeping giraffes, lions, deer, meerkats if they're not endangered? Edinburgh Zoo reportedly pays the Chinese government £600,000 a year till 2021 to keep the panda's there. Yet, this may shock you, but what is the point on wasting money to breed a creature that is rubbish at breeding, if you don't have any habitat to release it back into. Surely, it would make more sense to spend these large amounts of monies into buying huge swathes of land to protect their environment. It's endangered because its habitat is disappearing and it's too lazy to be getting jiggy with it. The Panda's at Edinburgh are simply a commercial deal that will see people flocking at £16 a head to see Panda's. Apparently, this £6m deal is worth £50m in revenue to the city, so who cares if they breed or not. Who cares if their habitat disappears or not, no-one as long as there is someone willing to come along and point and make funny faces, take some pictures buy a "I SAW THE PANDA'S" T-shirt. That'll be £50 please, NEXT! No, in my opinion, zoos have had their day. If conservation is all they're interested in, then they should pull all their resources together, work out what needs to be saved and buy one large suitable place to do it all in. Then, return all those creatures back to their foreign lands (if that's possible, if not euthanise) sell off all the old zoos to fund the new place and leave the word zoo back with Queen Victoria. There really is no place for zoos in our modern era, surely, we're more intelligent than that, or are we? little piece for the Suffolk Naturalist's Society newsletter White Admiral. Well now by the wonder of modern technology (the internet) you can read it too! Just click this link.